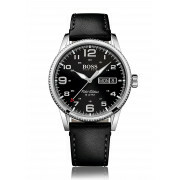 Hugo Boss present this elegant watch from their Pilot collection. 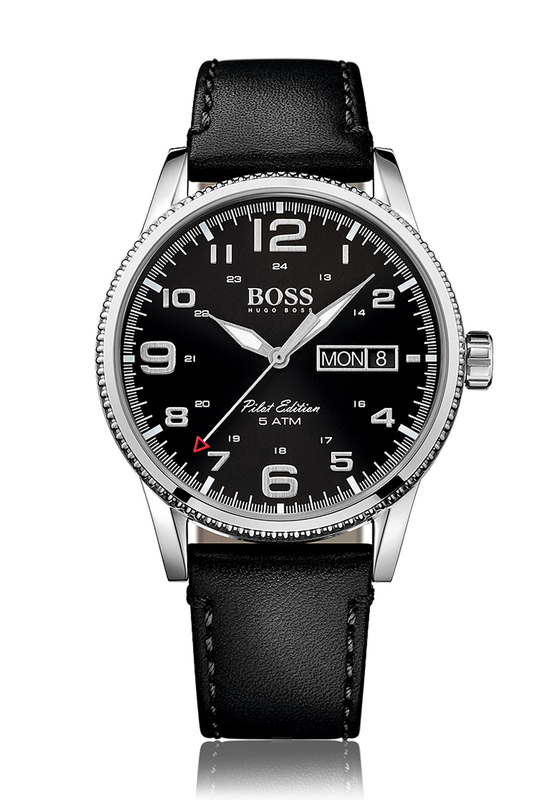 A black leather strap and stainless steel bezel adds an extra touch of sophistication. The black face features numerical time markers in 12 and 24 hour functionality and a day and date window.